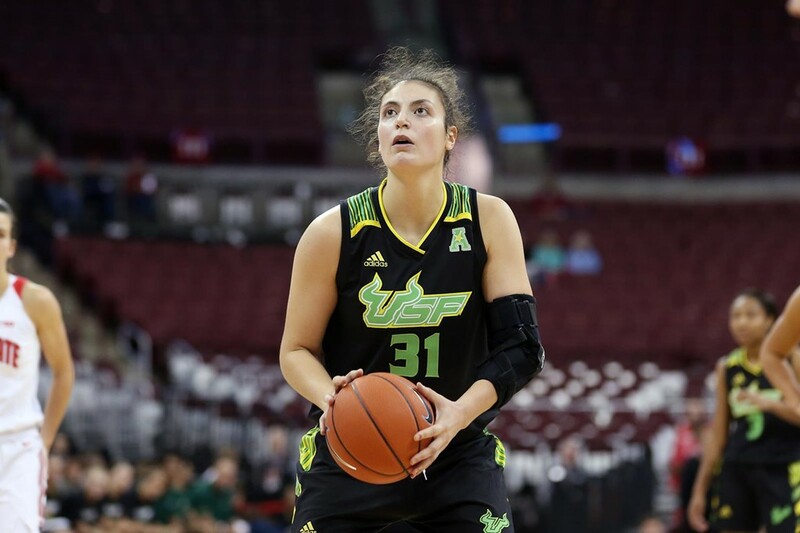 After beating defending Big 10 champions Ohio State University 71-47 on Tuesday, USF women’s basketball (1-0) will have a short recovery time before hosting the University at Albany on Friday at 7 p.m. Even though his team won handily, coach Jose Fernandez said there are ways for his team to improve. 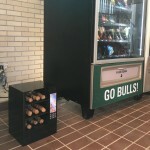 One of the Bulls’ biggest disadvantages is the time between games. “Right now, you’ve got a lot of kids on the team that haven’t experienced a short turnaround and preparation, so we’ve got to get the team ready for that,” Fernandez said. Even though Fernandez and his team try to take the season one game at a time, he’s still looking forward to the rest of the schedule early in the season. The Bulls’ schedule this season is no cakewalk. They anticipate playing No. 2 UConn three times in this year, twice in the regular season and again in the AAC final. They’ll also play against UCLA, Creighton, Virginia and LSU, which all had NCAA tournament appearances at the end of last season. Although the Bulls lost some experienced players in Maria Jespersen and Laia Flores, some newcomers to the team look ready to step up. Freshmen Beatriz Jordao and Sydni Harvey both took prominent roles in USF’s win against Ohio State. Jordao put up 17 points and shot eight-of-nine from the field. She also recorded 10 rebounds and two blocks. Harvey scored 16 points, shooting just four-of-10 from the field, but she was nearly perfect from the free-throw line, making seven of her eight attempts. “Anytime you’re a freshman and you don’t know what to expect and you’re in that type of atmosphere…I was happy with how [Harvey] was assertive and created off-the-bounce and got to the rim. It’s part of growing and it’s day one. We’ll just continue to get her better,” Fernandez said. Even though two powerhouse players, Jespersen and Flores, have graduated, Fernandez said there are plenty of players ready to step up. USF women’s volleyball will take on ECU and Cincinnati in its last two home matches of the season this weekend. The Bulls (18-8, 7-6) are right in the middle of the pack in the AAC standings — they’re currently ranked sixth of 12 teams in the conference. USF was on a four-match win streak before it lost to UConn for the second time this season. The Bulls beat ECU 3-1, but lost 3-0 in straight sets to Cincinnati. After beating Memphis 2-0 to give themselves the No. 3 seed in the AAC tournament, the Bulls lost 3-1 to No. 6-seed Memphis to end their season Tuesday. Tomasz Skublak was named first-team all-conference after his eight-goal season. Also racking up awards were Alex Zis, who led the team in assists, and Avionne Flanagan — both were awarded second-team all-conference honors. Freshman Henrique Gallina was named to the AAC’s all-rookie team to round out USF’s awards.